I was in college and I remember devouring everything by Thomas Hardy. He was and is one of my favourite writers. I know that most think that he doesn’t fit in today’s scheme of things but I beg to differ. I think the topics that he raised in his novels are as relevant today as they were then. Feminism though is at its core, if you read his works closely enough. But I digress, or maybe not, given this review is about a book titled “Winter” where one of the protagonists is Mr. Hardy himself. “Winter” is in turns a charming, a terrifying (some of it) and most graceful read. It is set in the last years of Mr. Hardy. He is in his eighties and lives in Dorset with his second wife Florence. Enter Gertrude, the lovely eighteen-year old actress who has been cast to play Tess in a local performance. Hardy cannot help but fall for her. She is young, nubile and everything that he cannot see in Florence. Thus begins one of the best marital dramas I’ve read in recent times. Marital dramas are not written about all that much and when one does attempt to try his or her hand at it, it has to be perfect and almost precise, which is what “Winter” manages to achieve. There are three shifting views and narratives to this novel – of course, of the three protagonists. Hardy’s view though is always third person. Gertrude and Florence have first person narratives. 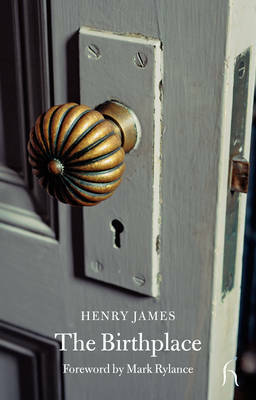 It is as though Hardy’s voice is just reduced to those in his books – background and full of insight. There is love between Florence and Thomas – but it cannot be expressed. Most love is inexpressible or reaches that stage as the novel progresses. Gertrude is married to her cousin who is a butcher and Hardy cannot help but feel sorry for her and at the same time envious of her husband. Florence wants to make her husband happy but is unable to do so. At the end of the book, I could not really take sides but I did feel sorrier for Florence. My empathy was tilted in her direction. The tone, atmosphere and feelings of characters are most precisely etched by Nicholson and those add to the layers of the novel or merge and become one with it. “Winter” is a story that is of the past – of love, secrets, lies, stories we tell ourselves in order to live and Christopher Nicholson does a super job of communicating its raw and almost unseen parts. This entry was posted in 2016, Books, europa editions, historical fiction, Literary Fiction, October 2016 Reads, Review and tagged Christopher Nicholson, classics, europa editions, florence, Gertrude, historical fiction, literary fiction, Thomas Hardy, Winter on October 9, 2016 by thehungryreader.